Belinda is a Board Certified Behavior Analyst (BCBA) with a Master of Arts Degree in Special Education from Ball State University. For 6 years she was a faculty member of the Special Education Department at Ball State University teaching graduate courses in the area of autism and applied behavior analysis. 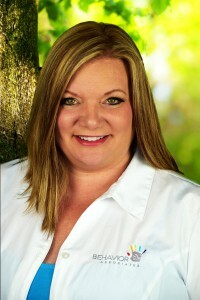 Belinda is also the founder of Interlock, the East Central Indiana Autism Support Group where she served 10 years as a Member of the Board Directors for Interlock. Belinda has demonstrated her compassion to impact the lives of individuals living with autism and their families by establishing several programs within her community, i.e., Interlock, BAI Social Group, Autism Day Camp, Hillcroft ABA Clinic, Autism Training for Indiana State Police, Autism Training for EMS Services, Autism Training for Church Buddy Programs, etc. Belinda also has the valuable experience being a mother of a child diagnosed with Autism. This has impacted her view of ABA treatment drives her to continue to develop, facilitate, and maintain programs and trainings through Behavior Associates of Indiana to make a positive impact in the lives of individuals living with Autism. 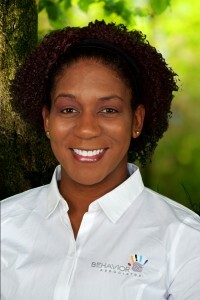 Dr. Martin is a Board Certified Behavior Analyst with a PhD in Psychology, a Graduate Certificate in Developmental Disabilities, certification as a BACB Approved Continuing Education Provider, and over 20 Years of experience working with individuals with Autism and other Developmental Disorders and Behavioral Disorders. In addition to working with BAI for the past 4 years, Dr. Martin is an Instructor in Applied Behavior Analysis at Ball State University and has conducted numerous trainings and seminars across the midwest and southern states. Jessie earned her Master’s Degree in Applied Behavior Analysis from Ball State University in 2016 and soon after became a Board Certified Behavior Analyst. She began working in the field of ABA in 2013 and has experience as a Behavior Technician, Trainer, Program Coordinator, and Clinical Manager. Courtney’s clinical experience began in 2011 where she was a nanny for a child diagnosed with Autism and learning coach for neurotypical children. In 2012 she became the Executive Assistant for the President of BAI: in this role she was responsible for billing and scheduling. To diversify her skills in the ABA field, Courtney went through Behavior Technician training (now considered RBT Training). 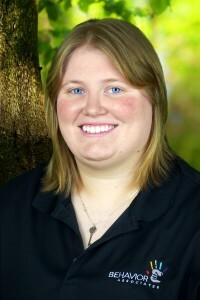 Courtney continued her development and earned her Associates Degree in Applied Science in Accounting at Ivy Tech Community College along with the following Certificates: Technical Accounting, Fundamental Payroll, and Book Keeping. Her previous clinical and administrative experience made her the perfect candidate for the role of Office Administrator for BAI from 2013-2016. She earned the position of Director of Finance and Operations in 2017. Stephanie earned her Masters Degree in Applied Behavior Analysis from Ball State University along with an undergraduate degree in Speech-Language Pathology from Ball State University. 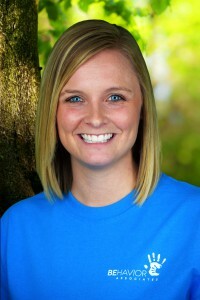 Stephanie is the Clinical Manager of the Muncie Centers and has been with Behavior Associates of Indiana since 2013. 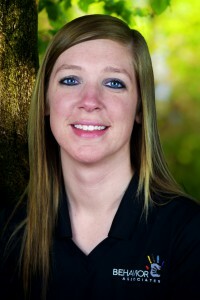 Stephanie is also a certified trainer in both Crisis Prevention Institute and Safety Care. Stephanie found her passion for working with children diagnosed with Autism Spectrum Disorder during her undergraduate program. She has a passion for helping children and watching them grow on a daily basis. Amanda received her BA in Psychology from Taylor University in 2012. 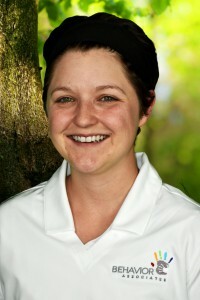 She is currently pursuing her graduate degree in ABA at Ball State University. She has worked in the field of Autism and ABA for the past few years: her hard work, dedication, and passion earned her the role of Program Coordinator for BAI in February 2017. In addition to providing coordination of care for her clients, she also provides school consultation services for BAI.